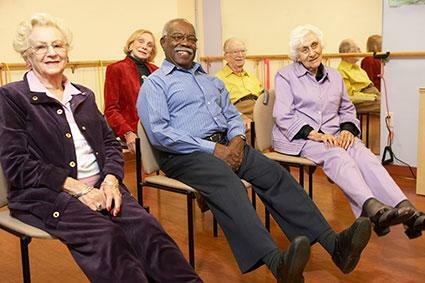 Senior Citizens and healthy living: Why exercise is important to them. 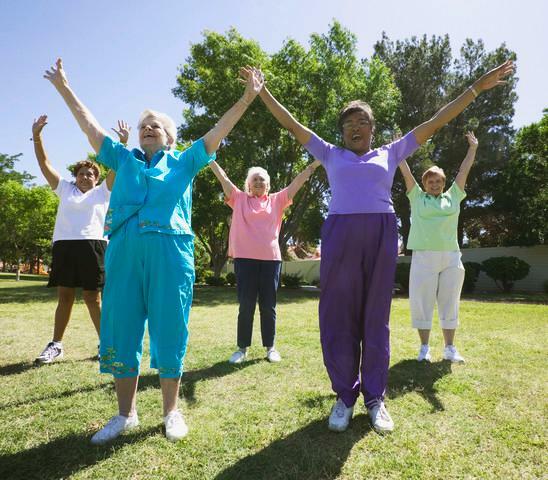 Just-Pics » News & Headline Stories » Senior Citizens and healthy living: Why exercise is important to them. If you are elderly and fighting the psychological effects of aging, exercise may be the key to giving you drive and energy. One critical component of aging is heart health. Regular exercise helps to keep the heart muscle in shape and can ward off common cardiac problems. Exercising at even a light intensity will raise the heart rate and improve overall fitness. Cardiovascular training for the elderly increases respiratory intake and helps fight common illnesses, such as a cold or the flu. Vascular occlusion, or the blocking of arteries, can occur when you grow older. Exercise can help reduce the risk by lowering blood cholesterol. Senior citizens should move around more to help alleviate Common health problems that includes obesity, acid indigestion, muscle weakness, stroke, panic attack, heartburn, diabetes, high cholesterol and high blood pressure. A good way to fight against these is to take up some physical exercises. Exercises promote one’s health and assist in living life with full zeal and enthusiasm. There are dozens of exercises you can do to build strength without having to set foot in a gym. Lightweight exercises or training: Senior citizens may practice light weight lifting with the help of light weight dumbbells. This will help enhance liveliness and improve metabolism. Seated in a chair, with your arms resting but not pressing on the armrests, contract your right quadriceps muscles and lift your leg. Your knee and the back of your thigh should be two or three inches off the seat. Pause for three seconds and slowly lower your leg. Complete eight to 12 repetitions and then repeat with the opposite leg. Bend your right arm, raising it so your elbow is chest level and your right fist is near your left shoulder. Place your left hand on your right elbow and gently pull your right arm across your chest. Hold for 20 to 30 seconds. Repeat with the opposite arm. Seated in a chair, lift your right foot off the floor and slowly rotate your foot five times to the right and then five times to the left. Repeat with the left foot. Getting into the habit of stretching every day will improve your range of motion and make every activity — including reaching for a dish from a cupboard — more comfortable. Here are two basic stretches to start with. Stand with your feet flat on the floor, shoulder-width apart. Keep your hands relaxed at your sides. Don’t tip your head forward or backward as you turn your head slowly to the right. Stop when you feel a slight stretch. Hold for 10 to 30 seconds. Now turn to the left. Hold for 10 to 30 seconds. Repeat three to five times. Since accidental falls are a significant source of injury for many seniors, including balance exercises in your exercise regimen is essential. Doing balance exercises, such as the ones described here, or an activity like tai chi or yoga, makes it easier to walk on uneven surfaces without losing balance. You can do these exercises every day, several times a day — even when you’re standing in line at the bank or the grocery store. Stand with your feet hip-width apart and your weight evenly distributed on both feet. Relax your hands at your sides (you can also do this exercise with a sturdy chair in front of you in case you need to grab it for balance). Shift your weight on to your right side, then lift your left foot a few inches off the floor. Hold for 10 seconds, eventually working up to 30 seconds. Return to the starting position and repeat with the opposite leg. Repeat three times. Stand with your feet hip-width apart, hands on hips (or on the back of a sturdy chair if you need support). Lift your left foot off the floor, bending at the knee and lifting your heel halfway between the floor and your buttocks. Hold for 10 seconds, eventually working up to 30 seconds. Return to the starting position and repeat with the opposite leg. Repeat three times. 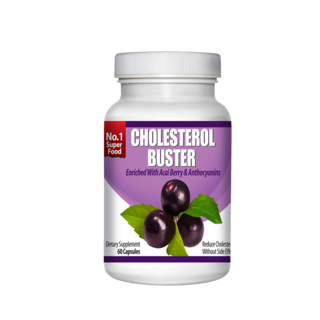 Cholesterol Buster enriched with Acai Berry reduces your risk of heart attack, high blood pressure and impotence. It is an all natural antioxidant that lowers your cholesterol without the side effects of conventional medication. Improve circulation. The cholesterol buster is an antioxidant full and packed with a power punch of nutrients to delay ageing and revitalize the body.